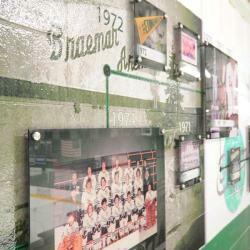 In 1965 the Original Braemar Ice Arena was built for the history laden Edina High School boys and girls hockey teams, designed by the same architects that also used Braemar Arena as a concept building for the 1966 built Met Center - for the inaugural Minnesota North Stars. 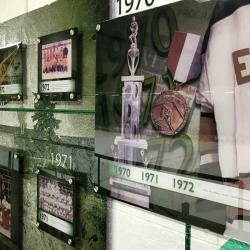 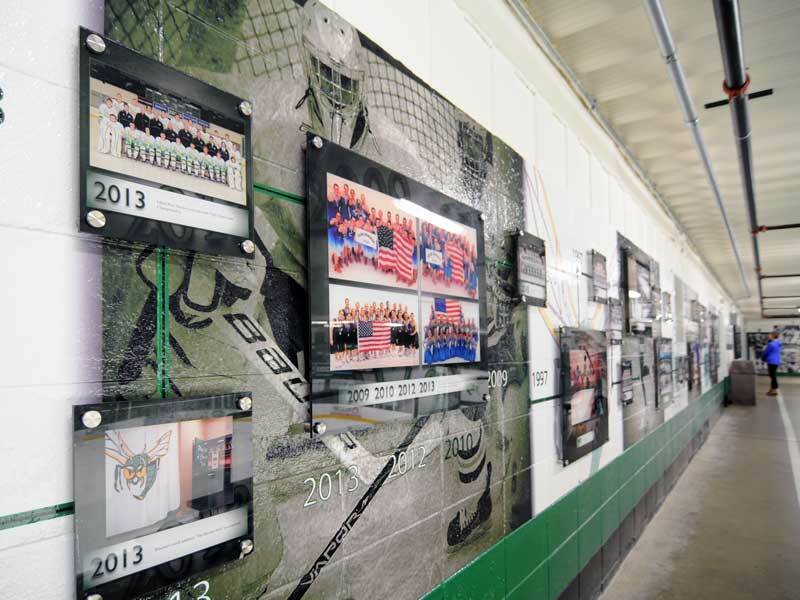 Since 1965, the facility has grown in size to a total of 4 NHL sized ice sheets to fullfill the growing demands of the Edina hockey and figure skating community and the Edina Hockey Association. 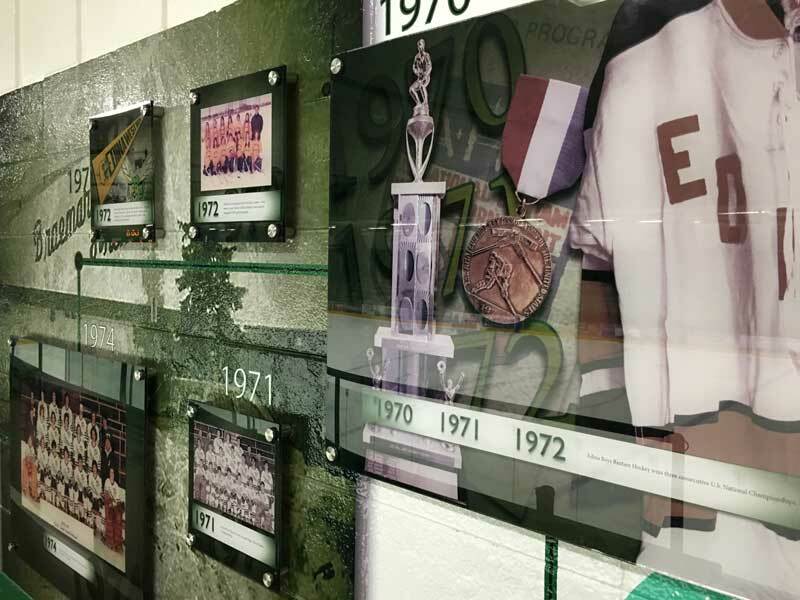 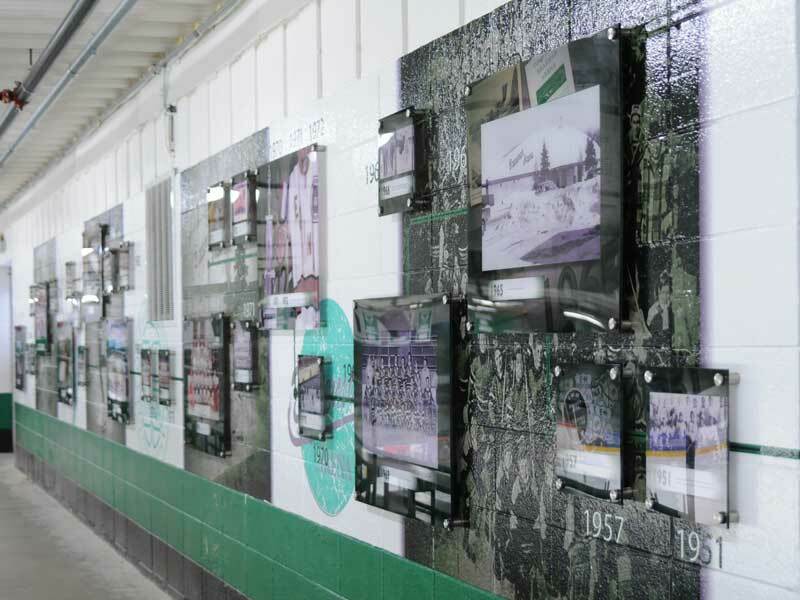 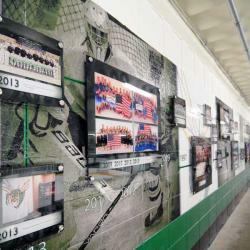 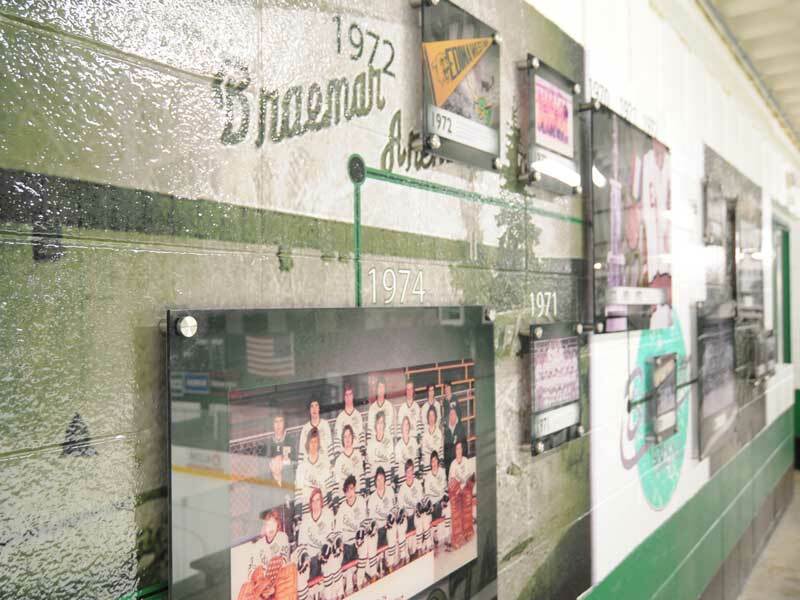 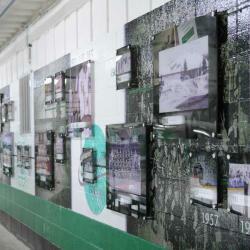 As part of our ongoing arena rebranding effort, White Design Group created this themed timeline display celebrating the proud history and traditions of Braemar.